This is not good. 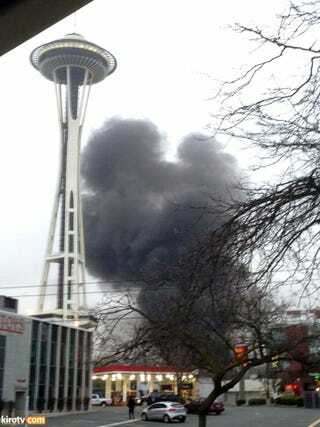 Reports are that it crashed on top of cars near Fisher Plaza (KOMO studios). Multiple injuries reported.